PES 2018 update 1.02 is now available on PS4, Xbox One, and other consoles. 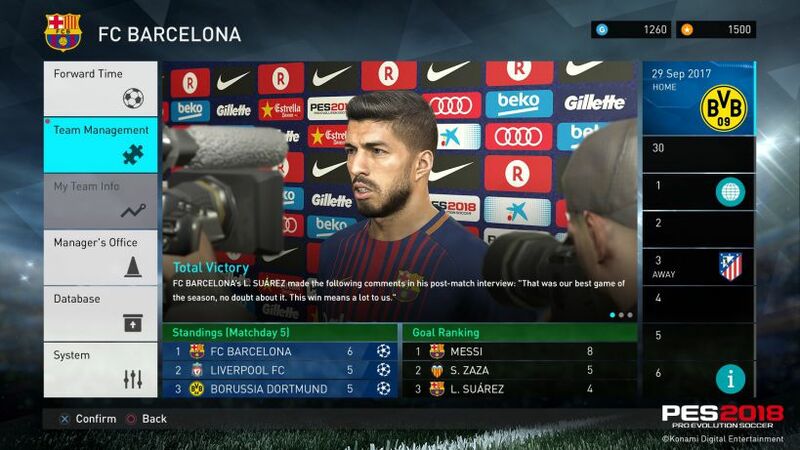 PES 2018 Datapack 1 is also rolling out with this update. According to the official PES 2018 Patch Notes, the new patch has added over 100 new faces as well as updates faces for players made by 3D scanning technology which is able to replicate almost every detail on the skin. In addition, there is now new boots with detailed branding and colour. The patch also updated cut-scenes for Master League. Check out below for more details. PES 2018 1.02 has added 117 new faces. Also, updated the faces for players made by 3D scanning technology which is able to replicate almost every detail on skin. Over 3,000 new player thumbnails. PES 2018 version 1.02 has added kits for Uefa Champions leagues teams like Atlético Madrid or AS Roma. 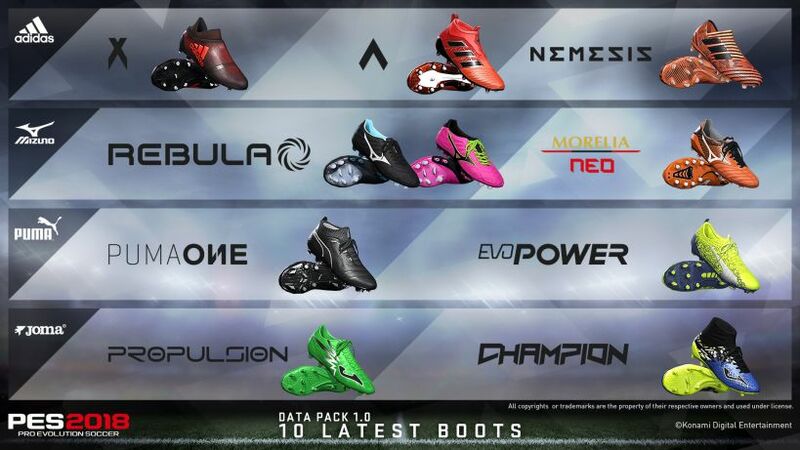 Added 10 new boots with detailed branding and colour. Updated cut-scenes for Master League. PES 2018 patch 1.02 brings minor bug fixes. Check your game update and download latest PES 2018 update 1.02 on PlayStation 4, Xbox One, and other consoles.